Use these printable worksheets to keep it quick and memorable. Kids love the doubles, the fives, the tens and dozens. Fives? It's fun to be able to use your hands to show five more. The tens are easy as kids figure pretty quickly that when they're writing that all they have to do is place a zero behind the number. Same with hundreds, just add an extra zero. 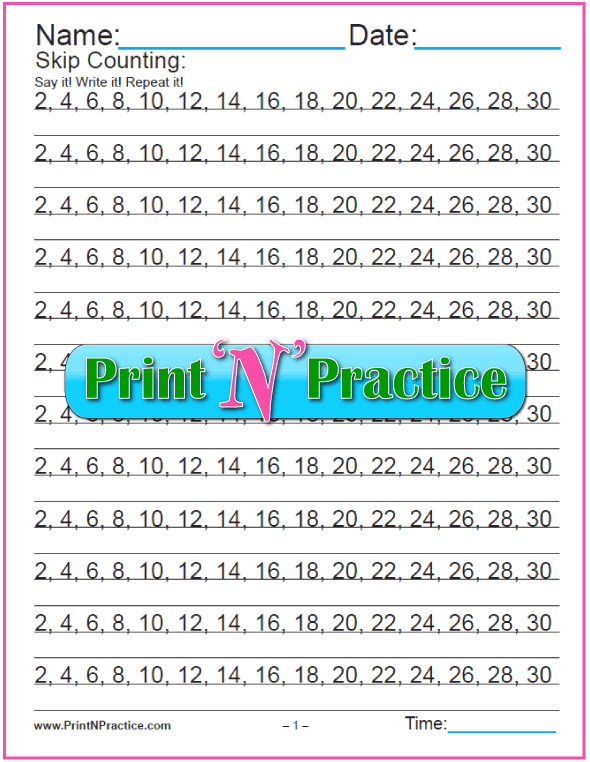 4 Skip Counting Worksheets: 1-10s, 11s, 12s, 25s, 50s, 100s. 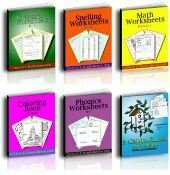 12 Skip Counting Worksheets: 2-12 and money currency. Skip counting by fives is very helpful when children learn counting by 5. They can see that the fives go round the clock. The big numbers help make the association with multiplication. Your children will love knowing that they can read a clock or their very own watch once they can count by fives. The fives, tens, 25s, 50s, and 100s teach money denominations, too. Nickles, dimes, quarters, fifty cent pieces, and dollar bills use these numbers. Make change easily by practicing: 25, 50, 75, 100. Start with the fives and compare them to nickles or five dollar bills. You can also use manipulatives, cut nickle pictures from worksheets, or use actual nickles and fives. Be sure no little ones will put the money in their mouths. The tens are easy and represent dimes and ten dollar bills. Quarters are trickier and there is no twenty five dollar bill. You can teach counting by 20 once they've learned counting by 10s. It combines the 2s and the 10s. Counting by fifties is as easy as counting by fives and counting hundreds is fun! I would use a multiplication chart instead of skip counting flash cards. It's best to keep the numbers written in order. If a box of flash cards spills kids have a hard time recognizing the order. 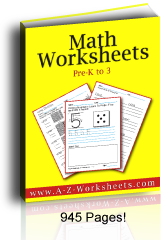 You'll like our counting worksheets, too.